The Linking Melbourne Authority (LMA) is the proponent of the East West Link on behalf of the Victorian Government. This Authority was previously responsible for overseeing the construction of East Link and Peninsula Link and is separate to VicRoads. Under the Major Transport Projects Facilitation Act 2009 the planning process has been squeezed into less than 6 months and many normal rights people have in planning cases have been removed. The LMA has produced a Comprehensive Impact Statement (CIS). The Minister for Planning has appointed an Assessment Committee, headed by Kathy Mitchell, to consider the CIS and decide whether it addresses the legal requirements to issue all the approvals the freeway needs under various Acts, as a single decision. The Assessment Committee received 1430 submissions with 260 people asking to be heard. The vast majority of these were local residents and community groups with less than a dozen short submissions supporting the freeway being built. Under the Act, the Committee is required to report within 30 business days of starting hearing and hence it has compressed the whole process to the period between 3 March and 15 April. 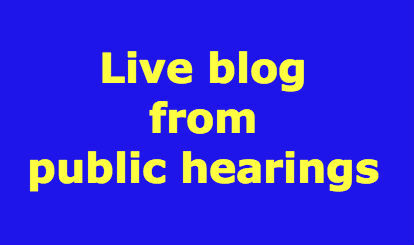 As a result the Hearing timetable allocates most individuals just 5 or 10 minutes to make their case. The LMA has 7 full days to repeat its case and the majority of the opening and closing days. The five local Councils (Melbourne, Yarra, Moonee Ponds, Moreland and Darebin) have been given 10 days between them and it is expected this will provide the most detailed expert testimony. The EPA and other bodies have 2 days to present their evidence. The community groups and individuals have been consigned to the last 9 days of hearings but are organising amongst themselves to make the best use of this time. The LMA will not actually build the freeway – three private consortia are bidding in a separate process to build and operate it for 30 years. The reference design being considered by the Assessment Committee is NOT the design that will finally be built – yet it is being used to give all the legal approvals. The location of vent stacks, the noise walls, the extent of open cut construction will be decided by the winning builder.